The protocol is simple: 4 bytes seconds and 1 byte 1/250th fraction of second, epoch time. It now works with precision < 10ms, but after 8-14 hours the software crashes. I suspect a problem with I2C access to RTC. Difficult to find. And still there is that weird bug that suddenly makes the time jump 1-2 hours. Thanks for the nice project, still ongoing optimisation. I read, there are concerns of ‘broken TTGO-modules’ delivered to other enthusiastic makers. 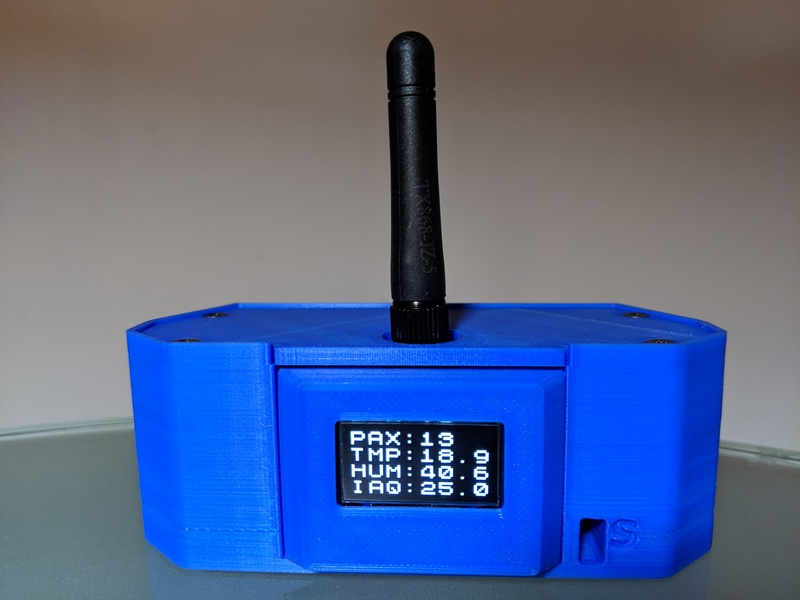 My Paxcounter is counting properly with v1.2.8 code but no LoraWan connection - it’s stuck in a heap overload and ‘JOINING’ message. Could you please advise on how to check the Lora connectivity separately? You should upgrade the software, current version is 1.7.4. There were tons of changes since 1.2.8, including change of LoRaWAN LMIC stack, now using better maintained MCCI version. Broken TTGO modules means dangerous hardware design flaw making connected LiPo batteries explode. Older TTGO and HELTEC modules were reported to have bad design in RF path, resulting in LoRa join problems. If join problems persist with current v1.7.4 double check your pin mapping und your LoRaWAN keys. Older TTGO boards may need additional wiring for LoRa DIO1 pin. Latest paxcounter development version now comes with a new multipage display feature. Display pages can be flipped by pressing the device button. Not a big thing, but it was really missed. 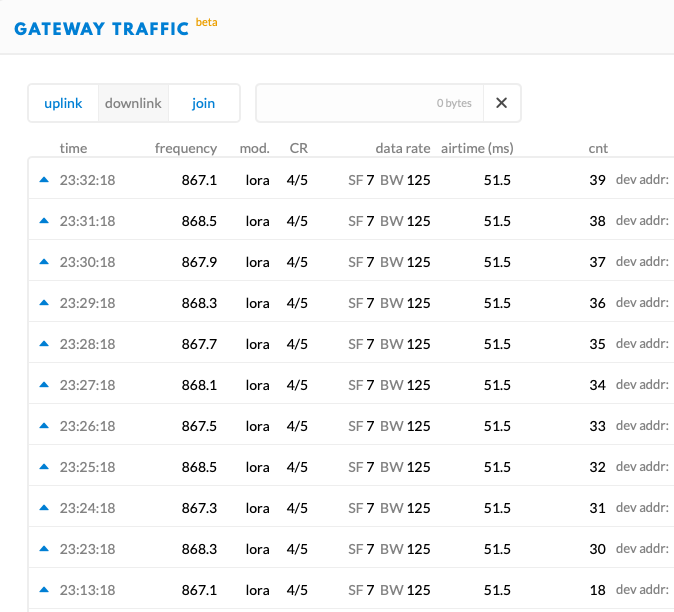 We start with 4 pages: main, time (LoRaWAN synched! ), GPS and BME. 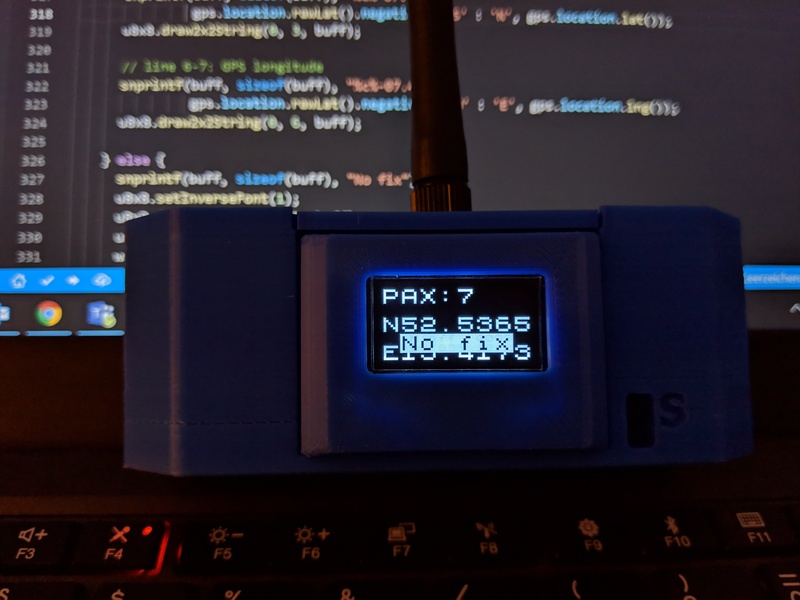 Always the current number of pax is displayed, since this is the core function of the device. All data on display is live, changing in real-time with 25fps, thanks to ESP32-Arduino RTOS. If someone here is used to the u8g2 OLED library: you’re welcome to bring a pull request migrating the display from alphanumeric u8x8 to graphical u8g2. Then we could plot some nice curves over time on the display, e.g. PAX flows in last 60 minutes, battery over time, TTN RSSI over time, etc. If you can review the images, sending the data in the “plain” configuration, after decoding, the result I get is strange, since I hope to get the number of WIFIs that are detected (around 25) according to what I see in the Debug . What can you owe? How can you configure the payload I want to send? Since I have doubts and I would like some indication to be able to follow and make changes based on your indications. First of all I would like to be able to identify the correct value of the WIFI counter, the second step would be to change the Payload to configure and send the combination that is of interest to us. You probably did install the wrong payload decoder in your ttn console. There are plain and packed, and decoder and compiled feature on the device must much, otherwise you get weird values as seen. There are plain and packed, and decoder and compiled feature on the device must much, otherwise you get weird values as seen. I am using in the file paxcounter.conf (#define PAYLOAD_ENCODER 1 // payload encoder: 1 = Plain,). what does the device show on console output in the line features, plain or packed? Allright, so compiled encoder and installed decoder match. Then the decoded numbers are correct, since this is what the device sent as payload. I have no clue what’s going wrong on the device making it sending this weird data. What do you see in the console log in debug mode? [D][senddata.cpp:54] sendCounter(): No valid GPS position. GPS data not appended to counter data. I think that I have solved the problem. I was compiling with TTGOv21new, now I have change to TTGOTBEAM and It’s ok. The data on TTN have the correct values. Now I have difference bettwen por 1 and 4, in port 4 the value of GPS is OK, but in port 4, no. I’ll do more tests of configurations. Thanks a lot. The next step is to change the payload format and data to update. For some tests, I would like to be able to print, in Debug mode, on the screen, the list of the hash of macs that are in the variable macs. I do not know exactly how to access this type of variables to be able to traverse and print each mac. Can you give me some reference? This is already coded in macsniff.cpp, use debug level verbose to see. "%s %s RSSI %ddBi -> MAC %s -> Hash %04X -> WiFi:%d  BLTH:%d -> "
Right, that option is what I can do now. What I try is to visualize at a certain moment the list of stored macs, that is, when I generate the payload, I would like Debug to be able to see a list of all the macs followed, since in the Debug it writes even when they are repeated indicating if they are new or already included. What I would need is to show on the screen the list of the macs stored in the memory variable. Such kind of function was intentionally not integrated in the code due to privacy reasons. Internally all collected MACs are stored in a container, until they are cleared after a scan cycle. Look at https://en.cppreference.com/w/cpp/container/set to see the options.